When bushwalking there’s always the possibility of injury. Be it a simple cut, a sprain or worse, a broken bone or snake bite. 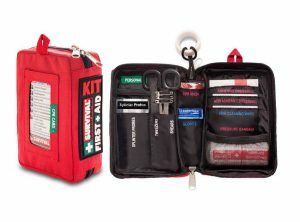 Now on a Life’s An Adventure pack-free guided walk your professional guide is fully trained for all sorts of scenarios and they’ll have wilderness first aid training and a compete first aid kit so you need not worry. However if you’re going bush without a guide – be it to train for a Life’s An Adventure walk or just to enjoy the outdoors – there are a some first aid tips you should be aware of. All of the above should be able to fit in a waterproof container and be placed within easy reach inside your pack. Wash your hands. A small bottle of hand sanitiser will do the trick. Clean the wound. Once you’ve stopped the bleeding, rinse the cut under cool running water or use a saline wound wash. Clean the area around the wound with an antiseptic wipe. You don’t need to bandage every cut and scrape. Some heal more quickly when left uncovered to stay dry. But if the cut is on a part of the body that might get dirty or rub against clothes, put on a bandage to protect it. Change the bandage every day or whenever it gets wet or dirty. And if the wound is not showing signs of healing it will pay to see the doctor when you return to civilisation. 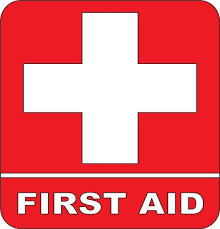 And finally, do a first aid course! Even the most basic course will teach you things you didn’t know. You could also do a wilderness first aid course which will put your through specific wilderness scenarios like dealing with snake bites, but that’s only if you’re planning on a multi-day, unguided bushwalk. Want to know more about common bushwalking injuries? Click here.